Mon to Sat 11am-11am, Sun 10am-10am | Times refer to Changing of Guard. Mounted sentries (who change every hour) are on duty each day 10am-4pm. Horse Guards Parade is the setting for various military ceremonies throughout the year including the Trooping the Colour which marks the Queen's official birthday. At the heart of Whitehall, it was the traditional entrance to the Royal Palaces and is still guarded by mounted sentries from the Queen's Household Cavalry. Changing the Guard takes place here every morning - 11am Monday to Saturday and 10am on Sundays - and lasts 30 minutes. It is at this time that twelve mounted troops in traditional costume arrive from their Hyde Park Barracks. At the Guard Changing ceremony, the Old Guard forms up on the north side of the Horse Guards Parade enclosure and the New Guard on the south side. During the London 2012 Olympics Games Horse Guards Parade was the striking - and popular - venue for the Olympic beach volleyball competition. The Household Division's Beating Retreat - a spectacular evening pageant of music and military precision drill, including horses, cannon and fireworks. This year we commemorate the bonds of friendship that thrive between the Commonwealth countries. 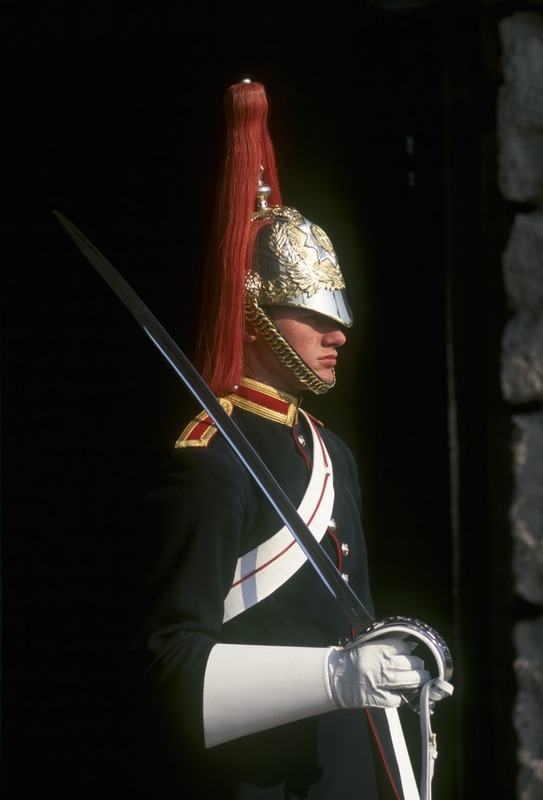 What are the best dining options near Horse Guards Parade London? Horse Guards Parade gyms, sporting activities, health & beauty and fitness. The best pubs near London Horse Guards Parade. Horse Guards Parade clubs, bars, cabaret nights, casinos and interesting nightlife. Where to have your meeting, conference, exhibition, private dining or training course near Horse Guards Parade. From cheap budget hotels to luxury 5 star hotels see our special offers for Horse Guards Parade hotels, including Club Quarters Trafalgar Square from 77% off.